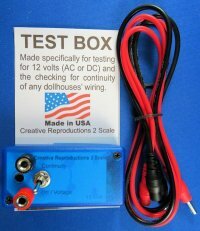 A junction connection makes a solid electrical connection from the power supply plug to your dollhouse or display and has the added protective feature of a fast blow fuse. It comes with double stick tape on the back as well as a single screw to attach it to your house. The fuse would be the same value as the power supply you use. In other words: If you purchase a 1 amp power supply, the fuse should be a 1 amp fuse. 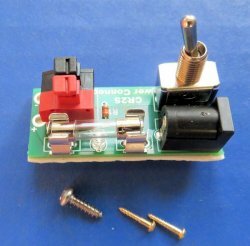 It protects the power supply and acts like a circuit protector. Throw away all of those "junction splices"
With all of the repairs I have made to different dollhouses, the one item I need to replace the most is the "junction splice". Because of all the trouble I have encountered with that device, I have designed several different replacements for the over used "junction splice". Three add a fuse and all have a jack to receive the plug from the power supply. 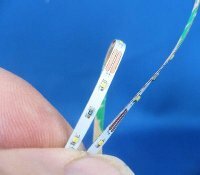 Each power connector was designed to provide an answer to different ways of providing power from the power supply to the dollhouse. 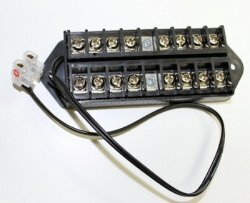 Each different connector can be used with tape-wire and/or round-wire. 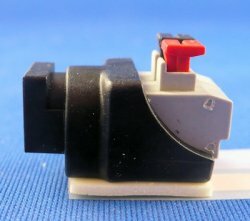 A simple jack and connection block that replaces the Junction Splice. I lightly sand the bottom of the junction splice and glue it in place.